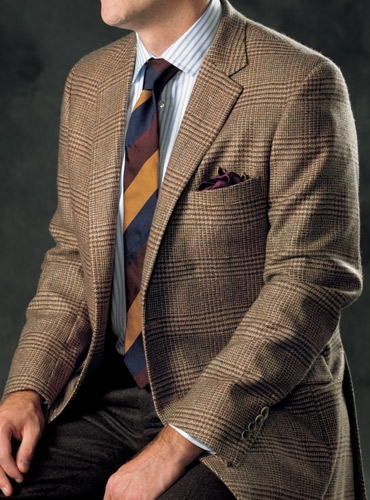 The renowned Scottish mill Johnstons of Elgin has woven this lofty and elegant spice and chocolate glen plaid 13 ounce cashmere with a subtle emerald windowpane, and we have cut it into an elegantly proportioned two-button, side vented jacket, with slim bluff edge lapel, double pipe and flap lower pockets, available in odd sizes 39–43 and in even sizes 40–48, in both Regular and Long, with additional sizes upon request. 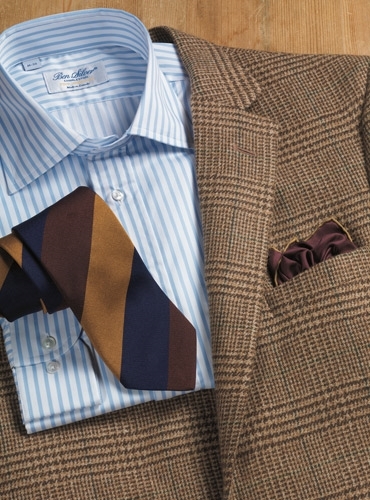 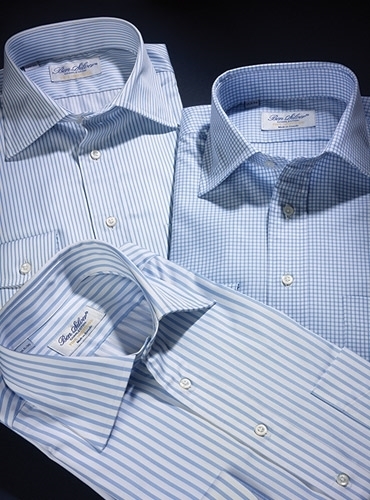 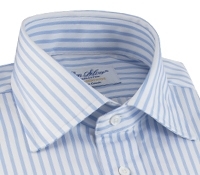 Shown with our always in style 2-ply 100s thread count Italian woven cotton twill spread collar shirt, and a handsome English silk multi-color block stripe in oak, prune and navy. 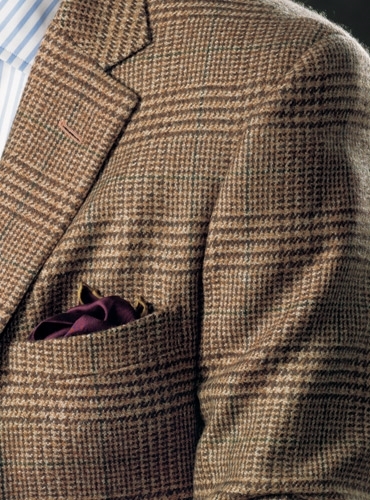 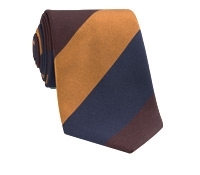 In the pocket is our printed silk solid claret pocket square, with a hand rolled edge. 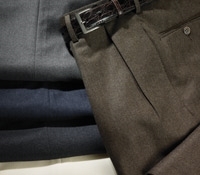 Dark brown mélange Italian woven flannel trousers complete the ensemble.